This test will find the "best corrected vision" for any visual problems. We measure influence of cataract. 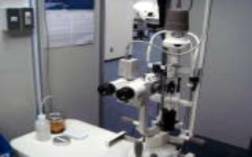 The ophthalmologist will examine the cornea, iris, lens and the anterior chamber. This test can help to determine muddy of your eyes. To check any abnormalities of your eye grand. We will treat light cataract with eye drops or oral medicine. If your eyes become muddy, you would not be able to recover clear eyesight. So only way to treat cataract is surgery. What eye drops is used? Kary Uni Pyrenoxin To suppress muddy of lens in your eyes. This usually use to leave Early senile cataract.